Made of quality resin in fine workmanship that is nontoxic and durable to use. Unique modeling design and antiquing process make the decoration distinctive. This antiquing barrel in high simulation is lifelike. 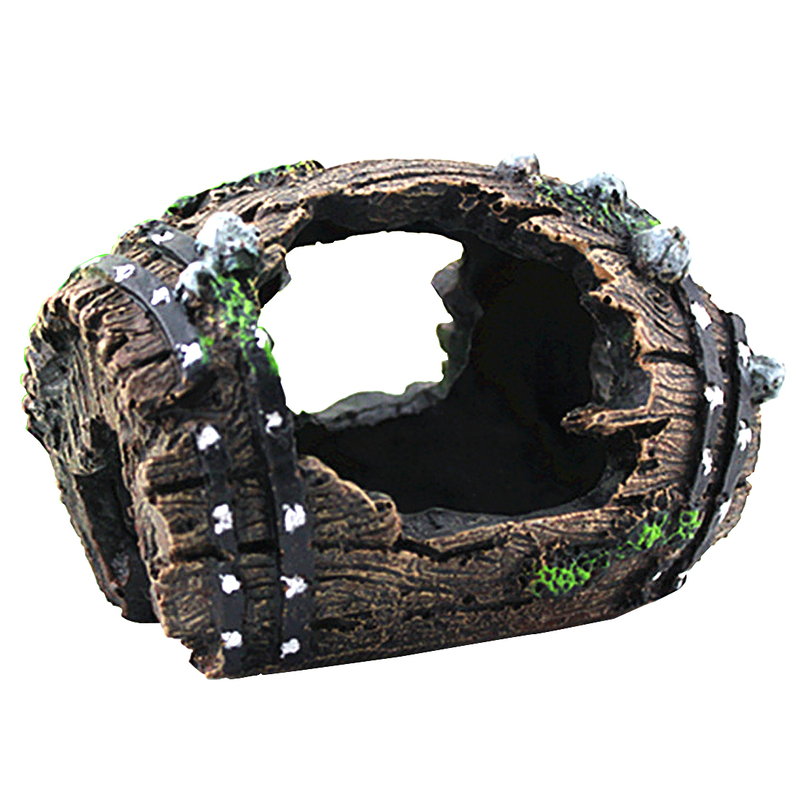 Provides a place to pet reptiles to hide itself, satisfy their desire for coolness, privacy and protection. Great choice to ease pets' pressure so as to improve their growth. Can be used to decorate fish tank or reptile feeding box, add color to the decorating.